Mother's Day is highlighted in red on my to-do list, not only as it's just around the corner, but also because of the number of tasks involved in this special family event. Probably the most urgent tasks involve the promotion of our Mother's Day church and kidmin events. This means preparing a quality Mother's Day slide for the church announcements, an image for our social media pages and a handout/flyer for our kidmin families. So... since I'm a little pushed for time, I instantly look to Smilebox. I really enjoy using PicMonkey and Canva for my graphics but, with Smilebox, I can create a quality image (slideshow or movie clip) in a very short period of time. Let me show you how. But before I start, if you're desperate for a Mother's Day slide and don't have time to create one yourself, download this powerpoint slide (below) and come back later to learn how to create your own. You will first need to download the Smilebox program. (It only takes a few minutes.) You can trial it for free and continue to use it as a free version but the options are limited. 2. Then open the program. There are lots of options. Generally, I choose either Invitation, Greeting or Collage format. You can put in a search topic such as Mother's Day if you wish. 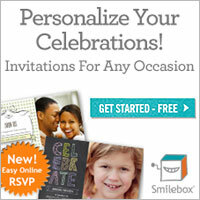 Then choose one of the Greeting or Invitation designs. When you're happy with a design, click 'Personalise it'. On the left of the screen, you'll notice 'Get Photos and Videos'. Click on this to find the photo that you want to include in your graphic from your photo library. 4. Drag the photo into your design. You can re-size or re-position it once it's in place. On the right of the screen, there will be colour or background choices. Try each until you're happy with the result. Once you're happy with the finished image; click on 'Save, Print or DVD.) Choose SAVE whenever you're given an option and Smilebox will create a file containing your design in your pictures library. Open the Smilebox file and insert the created image into your powerpoint slide, flyer or upload to your social media.... easy. Other ideas and uses for Smilebox will be added in the near future so watch for these upcoming posts.